MTI Lab Rats complete a 90 second In-Place Lunge Assessment. A volume-based progression which per session dictated 240%, 300% and 360% of assessment reps realized an average 17.4% assessment improvement across three exercises – Hand Release Push Ups, In-Place Lunges and Pull Ups. 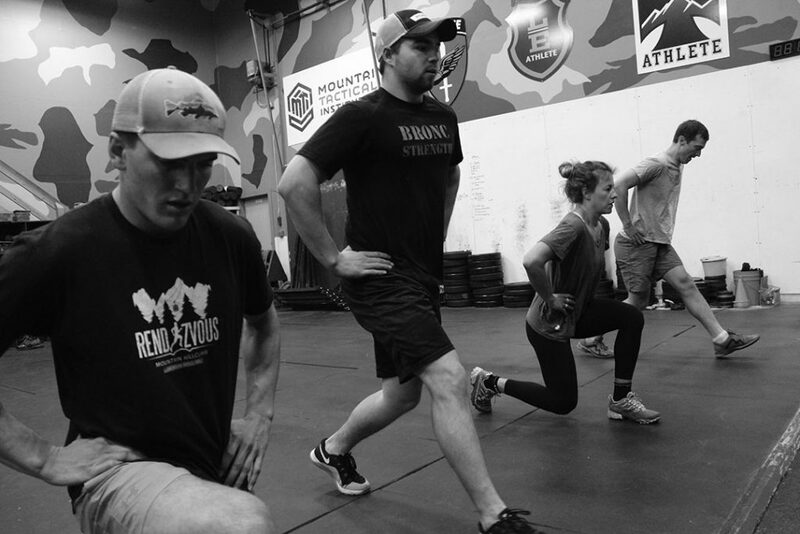 Over the past 12 years, MTI has developed multiple bodyweight strength progressions. These were initially driven by the need to design PFT-specific training plans for multiple military and law enforcement physical fitness assessments. But since our work in this area has been deployed in multiple MTI programs. This specific progression is deployed in one of our most recent training plans, Dolly. The progression deploys an initial assessment, with follow-on progression based on the initial assessment results. In this way, the progression automatically “scales” to the incoming fitness of the individual athletes. 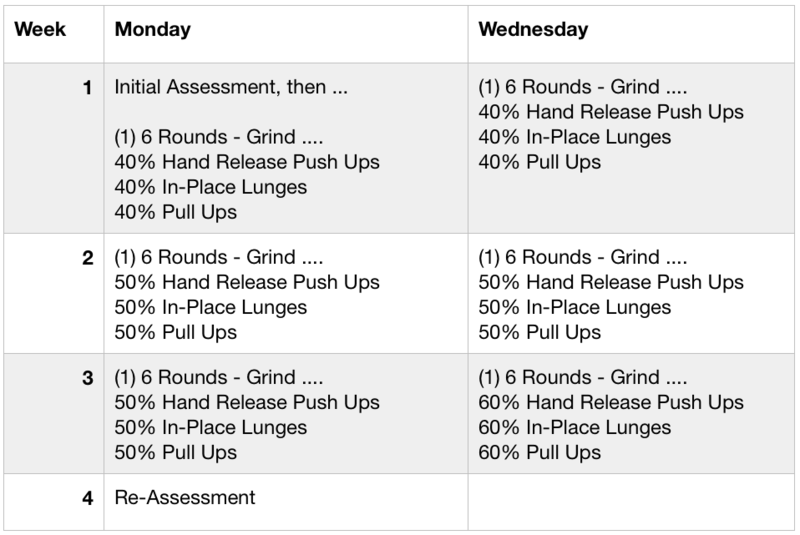 (1) 6 Rounds – Grind …. “Grind” = work steadily, not frantically, through this circuit. Below are the initial and re-assessment results by athlete. From the results above, we discarded two data points. For Ally – her pull ups went from 0 to 1 – and would have shown a 100% improvement – and skewed the results. Likewise, Emmett’s in-place lunge results were discarded – he was injured for the initial assessment and pulled back on effort. Overall, the results from this progression are in line or above the more common, density-based progression we deploy for most of our PFT training plans and offer an alternative to design into future plans or updates, and or a possible way to mix in with the proven density-based progression. Finally, this was a short mini study, with a small sample pool, and the results should be interpreted accordingly.